This range combines the uber-stylish Venetian look with industrial metal elements to create a modern look. 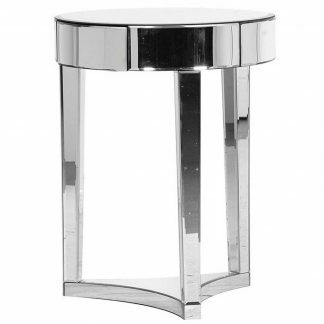 This side table is constructed with a combination of mirrors and metal. 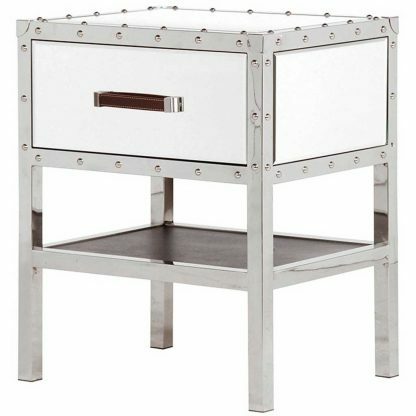 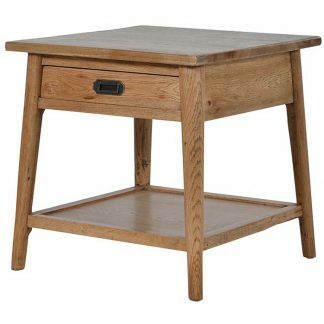 A strong angular metal frame with one central drawer and a lower shelf. 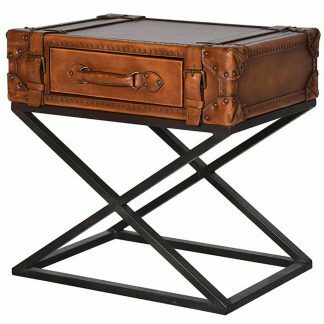 The drawer has a leather strap handle and the side table is decorated with brass studs.